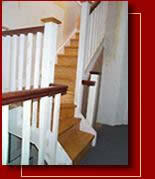 Closed tread stairs with teak spindle banisters. 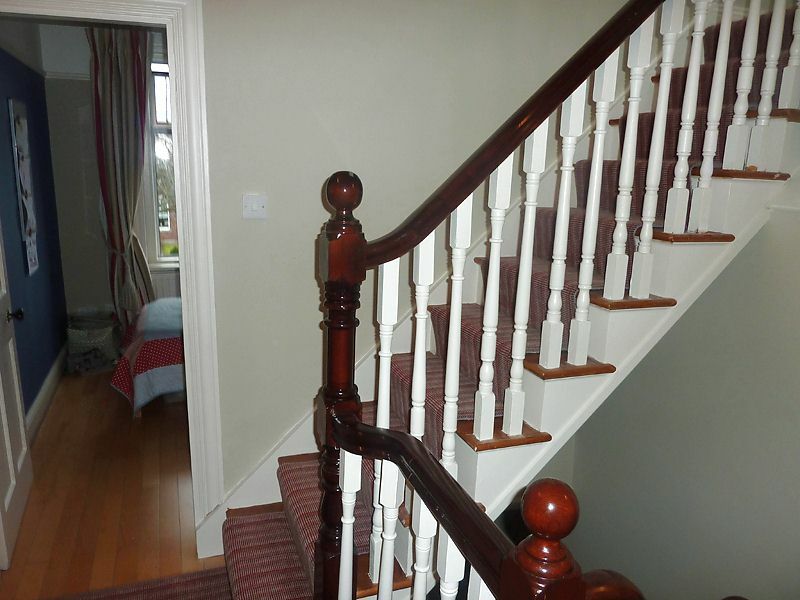 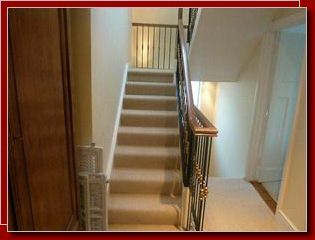 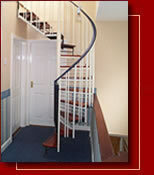 Closed tread stairs with white deal spindle banisters. 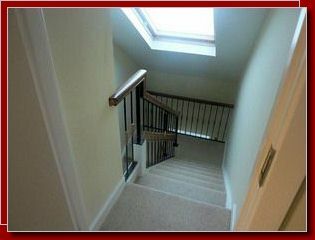 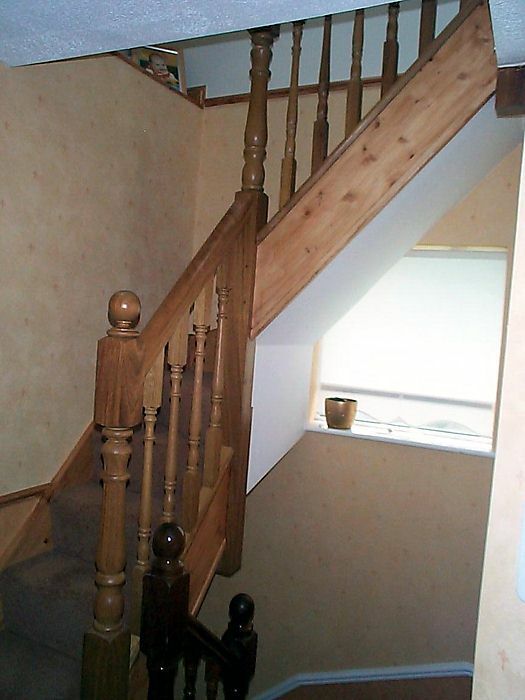 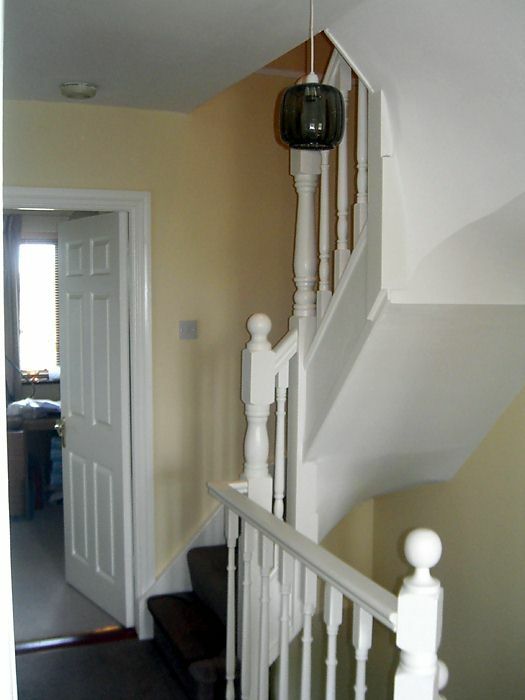 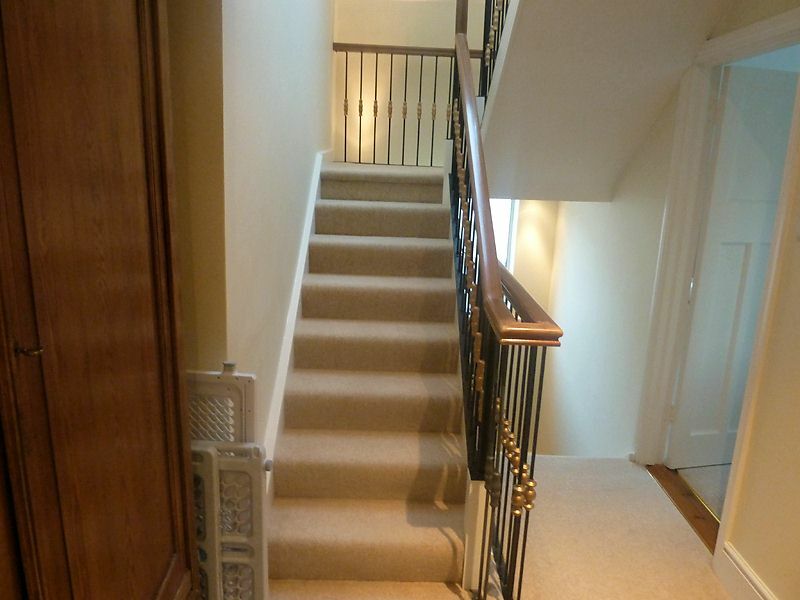 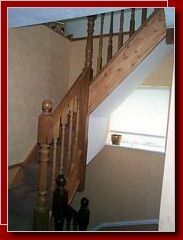 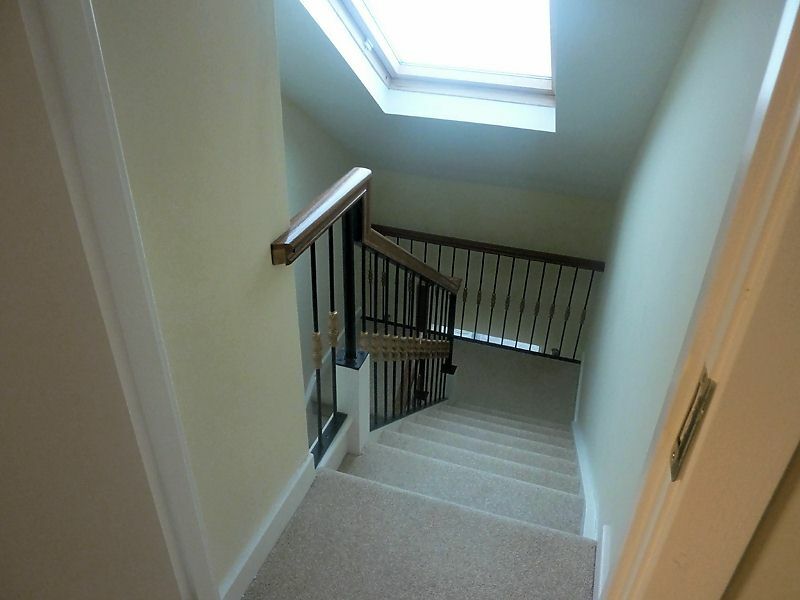 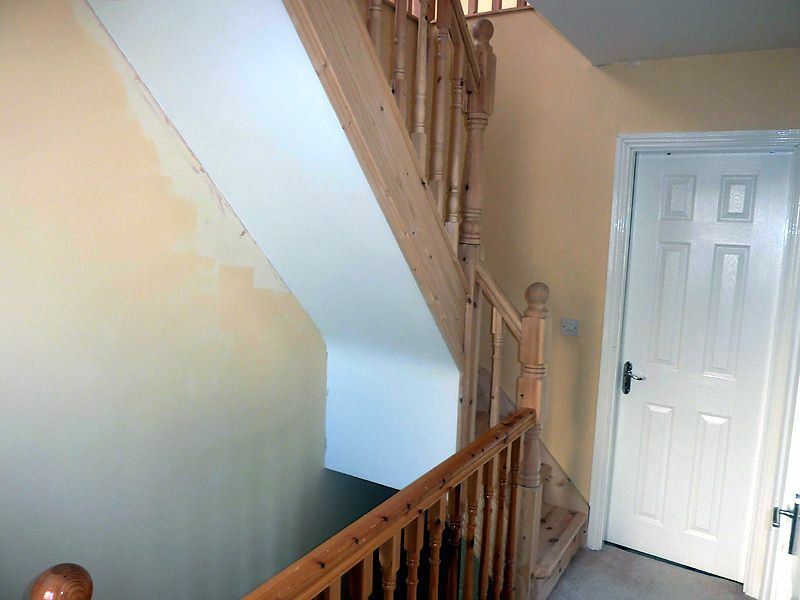 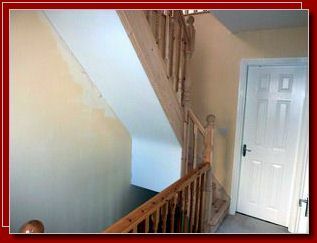 Basic open plan stairs with rail banisters, usually quite steep. 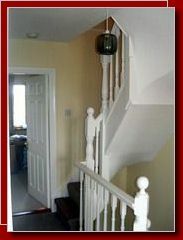 Basic stairs with spindle banisters. 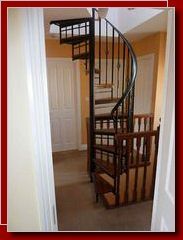 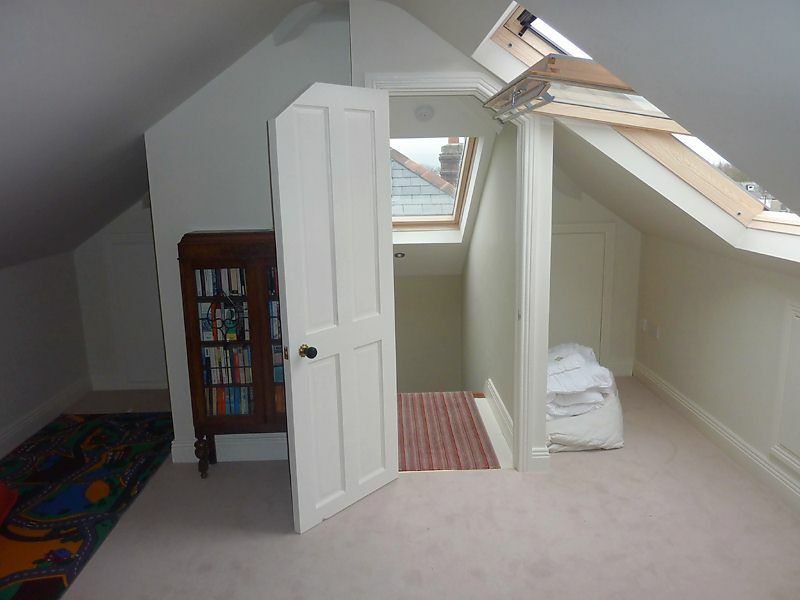 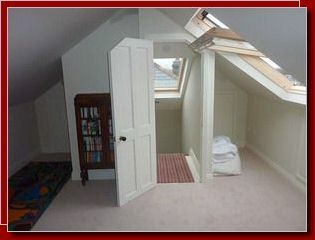 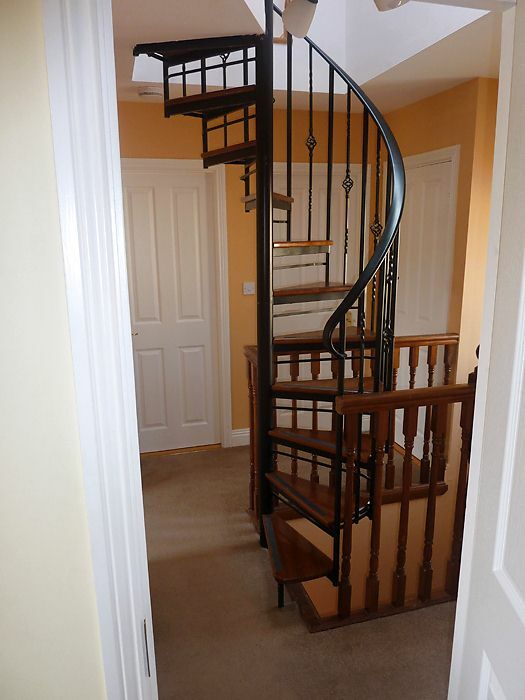 Spiral stairs designed for a hipped roof. 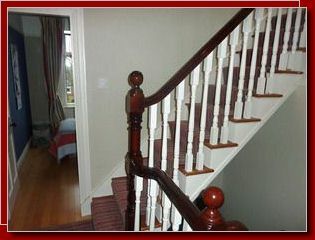 Closed "Winder" stairs with two turns and spindle banisters.